Do I really need a Rock ‘N Play, swing AND bouncer?! Nah, remember that women have gotten by on waaay less. I’m having a panic attack trying to figure out daycare. How the freak will I raise a baby and help run our business? We’ll figure it out together. I won’t even go into the details of the TMI things I’ve asked about — everything from gas, poop, dreams, orgasms, orgasms during dreams and everything else extremely personal you can think of. And she has been my rock. My beacon of mom-knowing who is willing to share any and all of her experience and knowledge: my ultimate unicorn mom friend! In addition, as I’ve been going through this, I’ve learned how important it is to not just have one unicorn mom friend (if you have an Erin in your life, you’re so lucky!) but to surround yourself with others who are going through the same thing, too. There’s never a moment that I’m not eternally grateful for my growing little girl, but that’s not to say that sometimes I don’t just freak the heck out at how much my life is going to be completely flipped upside down come February. 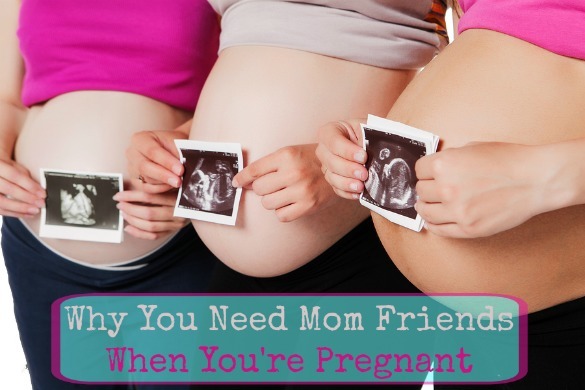 Not to mention that your non-mom friends may not want to discuss all things bump- and kid-related like you do. All the time. I’ve reconnected with a friend from college who’s basically as far along as I am in pregnancy, I know a few girls at the gym who are knocked up, and I’ve recently started taking a prenatal yoga class full of first-time, second-time and third-time moms in all different stages of pregnancy. And I’ve spent a lot of time with my friends who have little ones at home, getting time in holding, burping and getting a tiny taste of what it’s like to care for a tiny person. Not to mention that my freakin’ best friend just announced she’s pregnant, too! (Bump besties!) Having that support system around has been enriching, informative, fulfilling and just downright fun. I mean, who else are you going to send this photo to? Only your mom friends (and, now, all of the moms on the internet), that’s who. 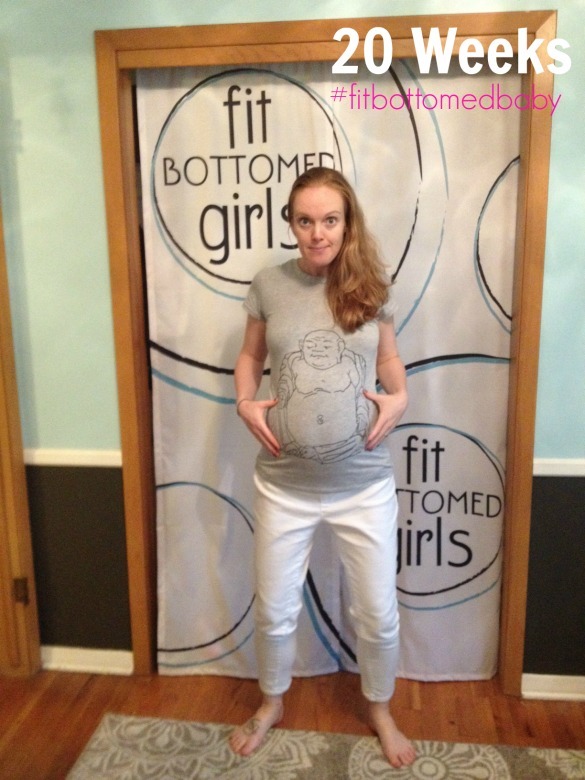 Is this not the best maternity T-shirt ever? Will be doing a full review on it soon!